Low carb meal plans and diets are gaining popularity for weight loss. This is because a low carb diet has a variety of positive attributes. You can lose weight as well as control diabetes and other conditions. Diets like the ketogenic diet have made it so that carbohydrates have really become the enemy. While carbohydrates are still necessary to create energy for cells, tissues, and organs, not all carbs are created equal. Some are just sugar, and carbs are empty place fillers in your diet that can make your blood sugar spike without any nutritional benefit. That is why finding high carb foods to avoid is so important for your health and wellness. Choosing what foods are best to eat in a low carb diet can be surprisingly tricky. 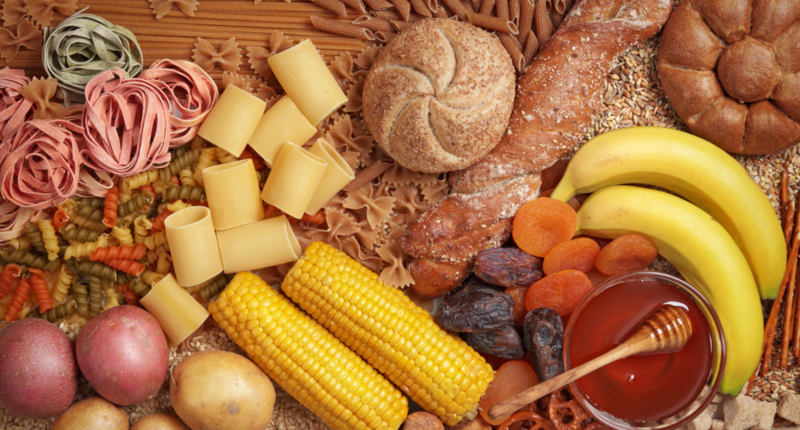 Empty carbs can hide in some surprising foods. Below is a list of high carb foods to avoid or limit on a low-carb diet to ensure success. Read on to learn what foods to avoid and what better substitutes you can make to kick-start a low carb lifestyle. I included this one on the list because I know rice cakes are often considered a diet food. There have been times when I am trying to lose weight that I have eaten lots of rice cakes topped with peanut butter. However, rice cakes contain 17 grams of carbs per cake, without any other nutritional benefit. Swap a rice cake for a piece of whole-grain toast to get more fiber and to keep you full longer. 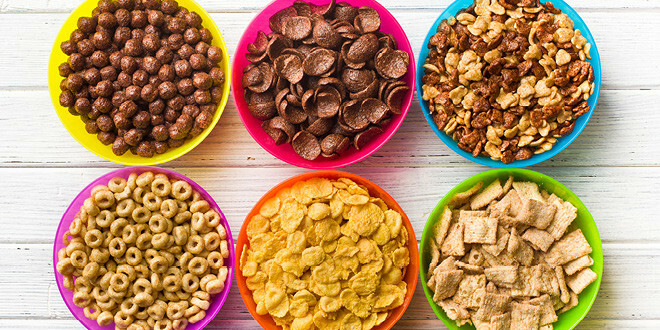 It can be no surprise that sugary breakfast cereals are loaded with carbohydrates. But even healthy cereals can have a high carb count. A half cup of a typical granola cereal contains more than 35 grams of carbs, and a cereal like Grape Nuts has 46 grams per serving. Replace your carb-laden breakfast cereal with a bowl of steel-cut oatmeal to get more fiber and heart-healthy grains that will help lower cholesterol and boost your energy with the healthy carbohydrates your body needs. Another food that often disguises itself as a healthy item, tortilla wraps are most certainly among the high carb foods to avoid. People often believe that tortillas are better for you than bread, but in reality, they are full of carbs. Made of enriched flour and hydrogenated oils, one wrap can have 35 grams of carbs. Instead of making a wrap with a tortilla, try a lettuce wrap instead. With all of the delicious flavor of a wrap, greens are almost carb and calorie-free, allowing you to enjoy a delicious lunch without all the empty carbohydrates. One of the most surprising high carb foods to avoid, juice has truly earned its place on this list. Many people would not expect an unsweetened juice to be full of carbs since it is liquid, but just 12 ounces of unsweetened apple juice contains nearly 48 grams of carbs! The nutrients contained in juice are quickly outdone by the fast-digesting carbs that cause a spike in blood sugar. 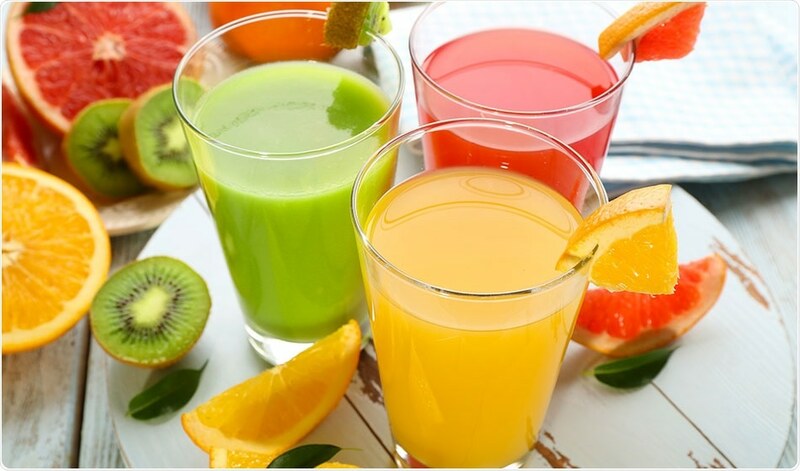 Juice can even be more carbohydrate-dense than soda, which only has an average of 39 grams of carbs per serving. Avoid juice altogether, and drink water with lemon instead. Using a low-fat salad dressing when on a diet seems like it would be helpful, but you may be surprised to find it is one of the high carb foods to avoid. Commercial salad dressings are loaded with carbs, especially the low-fat and fat-free versions. For example, just two tablespoons of fat-free French dressing has 10 grams of carbs, and fat-free ranch dressing has 11 grams. Minimize carbs with full-fat dressing, or with a combination of vinegar and olive oil, which can help with weight loss. Avoiding processed and refined sugars while on a low carb meal plan can come as no surprise, but avoiding natural sugars is another story. Natural forms of sugar are high carb foods to avoid, actually containing more carbohydrates than processed white sugar. Maple sugar has 13 grams of carbs, agave has 16 grams, while carbs in honey top it all with 17 grams of carbs. Avoid these sweeteners while on a low carb diet as they are high in carbs and void of any nutrients. If you need to sweeten a food or drink, try a healthy sweetener instead, such as stevia. 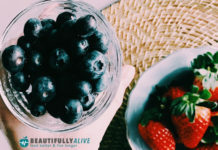 While we tend to tout them as a healthy snack and great alternative to many fattening calorie-laden treats, smoothies are on the list of high carb foods to avoid. Fruit is a great source of vitamins and minerals, but it is also full of sugars and carbs. A 16oz smoothie can have 75 grams of carbs if it is made primarily with fruit. Keep your smoothies low carb by emphasizing the vegetables. For every piece of fruit, you use, add two vegetables. Spinach and kale are both good options to pack a smoothie with vitamins but keep it low in carbohydrates. Yogurt is another classic diet food that is full of protein and vitamins but be wary of its sugary additives. Plain yogurt has naturally-occurring sugars and complex carbs that make it a delicious treat, but when you choose a flavored variety, it instantly packs on the carbohydrates. Just one cup of an artificially flavored yogurt can have more than 45 grams of carbs. To enjoy a low carb yogurt, choose a plain yogurt then add in flavor with fruit and other low-carb toppings. While brown rice can be a great complex carb, white rice makes the list of high carb foods to avoid. 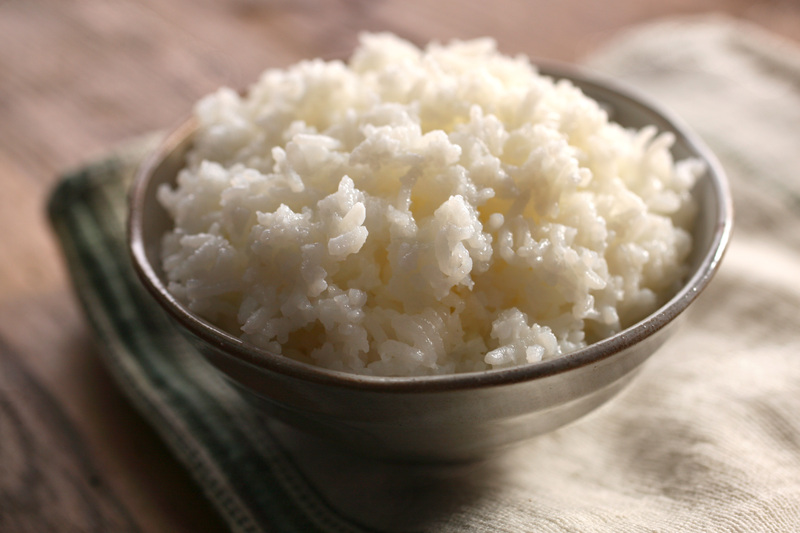 The process that refines white rice removes much of its fiber content, but keeps it loaded with carbohydrates. In just one quarter cup serving, you will find nearly 36 grams of carbs. Nutritional experts recommend swapping rice for quinoa, which has better nutritional value and 10 fewer carbs than rice. Granola bars are one of those sneaky foods that sound healthy but are often anything but. Often high in sugar and simple carbs, granola bars are definitely one of the high carb foods to avoid. On average, one bar contains 45 grams of carbs. Like most things, not all granola bars are made the same. Search out those that are high in protein, healthy fats and fiber, with no added sugar. Choosing a bar with minimal ingredients also guarantees that you’ll be snacking healthy. This may come as some bad news for Starbucks lovers everywhere, but flavored lattes and other coffee drinks are high carb foods to avoid. Many of the coffee drinks available in popular chains are full of empty carbs and simple sugars. Some of the most popular coffee drinks can contain 400 calories and more than 65 grams of carbohydrates. Ditch the designer drink and try black coffee, which is extremely low in calories and full of antioxidants. If you cannot stomach straight black coffee, sweeten it with stevia or smooth the taste with skim or soy milk. Vegetables rarely make a list of foods to avoid, but there is no denying that some high-starch vegetables are also high in carbs. If you are committed to following a very low carb diet, then you may want to avoid starchy vegetables as well. Just 1 cup of corn can have 41 grams of carbs, while 1 medium potato has 37 grams of carbs. Try a low carb vegetable like peppers, broccoli, zucchini, or green beans to stay strong in your low carb endeavors. Nothing makes a movie-going experience complete like popcorn. However, the fake-butter-covered delicacy that you can get at the concession stand is a calorie, fat, and carb-laden nightmare. 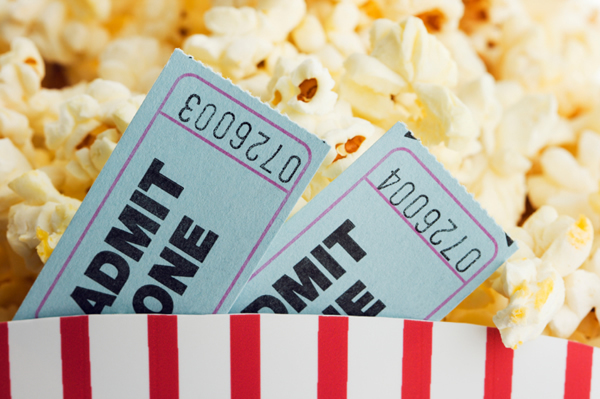 A medium popcorn at the movies can have over 1200 calories, 48 grams of saturated fat, and a whopping 84 grams of carbs. Even if you plan to share, you should definitely avoid this popcorn during your next trip to the movies. Instead, enjoy some air popped popcorn with your own herbs and spices for a satisfying treat that is safe for your waist. If you’re looking for a high calorie and high carb condiment, then look no further. Barbecue sauce tops the list of high carb foods to avoid, ringing in with 100 calories and 22 grams of carbohydrates in only two tablespoons of barbecue sauce. If you’ll miss that sweet and tangy taste, try a combination of low-sodium soy sauce with a hint of honey. It will add the flavor without adding the empty carbs and calories. Fruit snacks advertise themselves as fat-free, but that’s just about all they’ve got going for them nutritionally. They are full of empty calories, processed sugar, and chemical preservatives. They also pack quite the carb count for such a small treat. With a whopping 21 grams of carbs, the typical pack of fruit snacks tries to disguise itself as healthy, but is really just glorified candy. Enjoy a real piece of fruit to satisfy your sweet tooth with way more nutritional value. While it is possible to enjoy most foods in moderation, if you are really looking to live a low carb lifestyle, then it is best to avoid these fifteen surprising foods that are high in empty carbs. Search for food choices that are high in protein and low in sugar to feel satisfied and enjoy your meals. Let us know in the comments any other high carb foods to avoid, and let us encourage each other to make good health choices together!